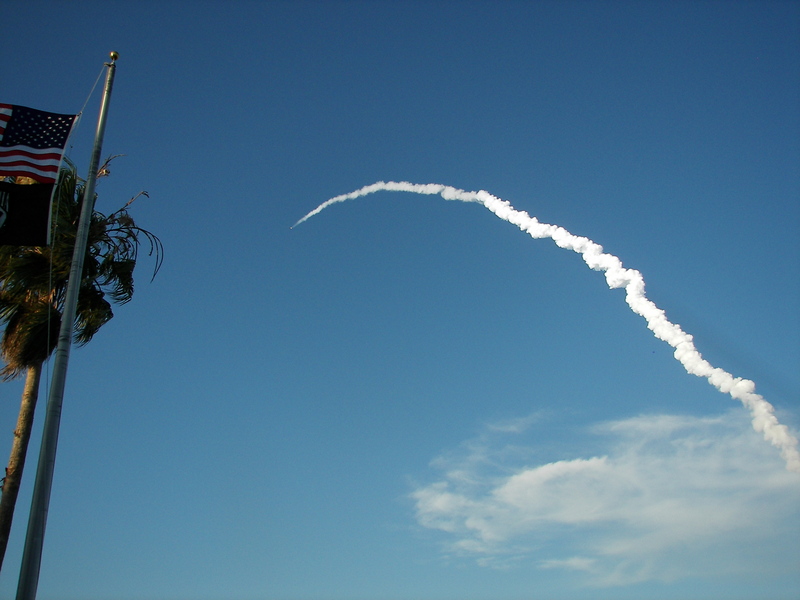 From the time I moved to Florida I knew that the space shuttle program was coming to an end. Being that I am from the north, I had never seen a shuttle launch live and decided I would try to see every remaining launch, even if it were just a glimpse, which I did. With all the news this week of shuttles finding their ways to their new homes, I decided this was a fitting photo. This was taken at Space View Park in Titusville, Fl directly across the river from Kennedy Space Center. This was shuttle Atlantis launching for mission STS-117 on June 8, 2007.